So you jumped on the Facebook bandwagon, but your company still isn’t seeing results? Don’t call it quits just yet. You're on a social media platform with 2 billion active users, providing enormous potential to maximize your company's Facebook presence when it comes to brand exposure and lead generation. Why is a Facebook Marketing Plan Important? Would you launch a new business without a plan and expect to succeed? Of course not. The same goes for any complex endeavor you undertake. Facebook has many tools and advantages that when utilized properly can increase your web traffic, build brand loyalty, improve SEO and lower your marketing expenses. Begin by creating goals for a targeted audience based on the needs of your company. Whether it’s to increase sales, reduce churn, or add more value to the organization, the goals should be specific. This could include how many followers you wish to increase by or growing the number of leads collected through Facebook by X amount. Did you know that Facebook has the best reach across age groups than any other social network? This gives you access to an incredibly diverse group of people, so it’s essential to know who you need to reach and the best ways to do so. 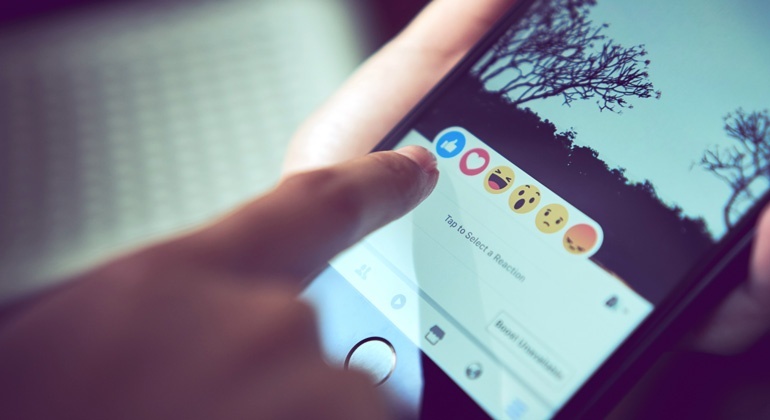 Facebook has built-in analytics that can help your company understand its demographics, measure across channels, optimize growth, and get targeted insights. Their Audience Insight feature also allows you to understand your target audience trends, purchase behavior and more. This can be used to put together a buyer persona, which will help with content creation. Set up a plan for the amount of paid and unpaid content you intend on creating. The ratio should differ depending on your goals. If your goal is to increase sales, using Facebook ads as a sales funnel is a popular strategy. Either way, creating valuable content is crucial. Your content should stop viewers in their tracks, by being fresh and highly shareable with a call to action. Track when your audience is online, and set up a plan for posting accordingly. Don’t forget that Facebook is a two-way form of communication. Building that online social community for your company is essential. Fast response rates and good customer service will increase your CSAT (Customer Satisfaction Score) and foster business growth. Facebook heavily emphasizes video posts as well. Having a higher percentage of video posts increases visibility and engagement, as they are found to have a larger organic reach than photo or text. Facebook Live is another excellent tool for connecting with your audience directly. The most common ads to purchase are retargeting, carousel, page likes, and application ads. Regardless of the type, ad campaigns on Facebook should be relevant and cost effective. Build custom audiences to target in order to maximize ad spend. Old content will annoy viewers, so be sure to keep your ads updated and fresh. Find areas you can improve by tracking your CTR (click-through rate) and revisiting content to see what’s leaving the biggest impression. Analyzing your plan’s success is essential in moving forward. There are various tools you can use to measure your effectiveness such as Facebook Analytics, Google Analytics, Cyfe or Moz. These applications will help you see the reach and results of your posts, so you can determine what worked effectively and what needs to be changed. Gaining attention from your market can be hard at first. Follow and monitor the Facebook pages of competitors and others within your industry to stay tuned to trending topics. Corporate culture is a hot topic today, and Facebook is a great tool to create a community and advocate your corporate culture to the public. Driving traffic from other social networks, such as Twitter, to your Facebook page is another smart way to increase engagement. By having shareable links across all sites, your content is more likely to be viewed and shared. Include a Facebook page link in your email signature and have social media plug-ins on your website as well. Succeeding on Facebook is harder than ever in today’s broad competitive market. Creating a marketing plan will equip you with the competitive edge needed to promote your business on Facebook with maximum effect. After all, we’re all “in it to win it”, aren’t we?